This purse features hardware in your choice of gold, silver or gunmetal. You will learn to install rivets and make this bag more professional. The inside of the bag also features a zipper pocket. 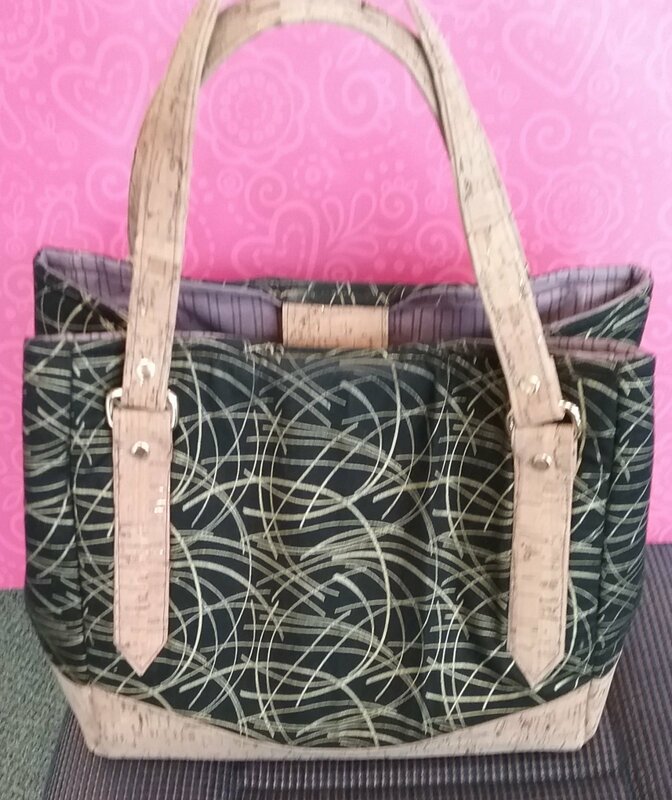 The bag can be made with or without the cork accents.